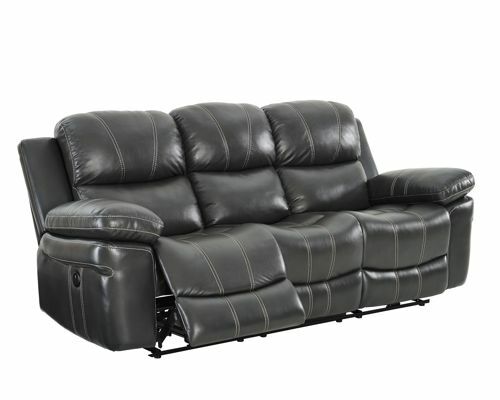 The Enzo reclining sofa features pocket coil seat cushions with memory foam toppers for comfort. 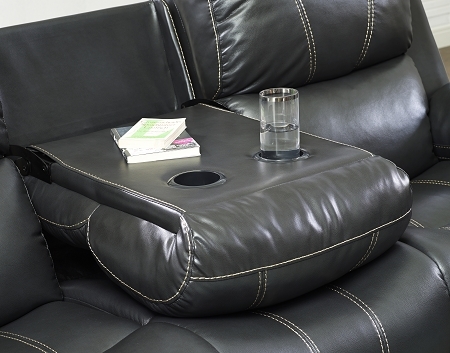 It also has a drop-down table in the center seat. It is available in a gray leathaire fabric with contrast stitching.